Northern Territory Police, Fire and Emergency Services (NTPFES) in partnership with the Motor Accidents Compensation Commission (MACC) has launched a hard hitting campaign aimed at saving Territory lives. The message is simple: we’ve had enough of the carnage on our roads. The campaign is being rolled out in two parts. Urban audiences will see a series of advertisements telling real people’s stories – first responders and surgeons, the family who lost a daughter to a drink driver, the footy team who lost a mate. 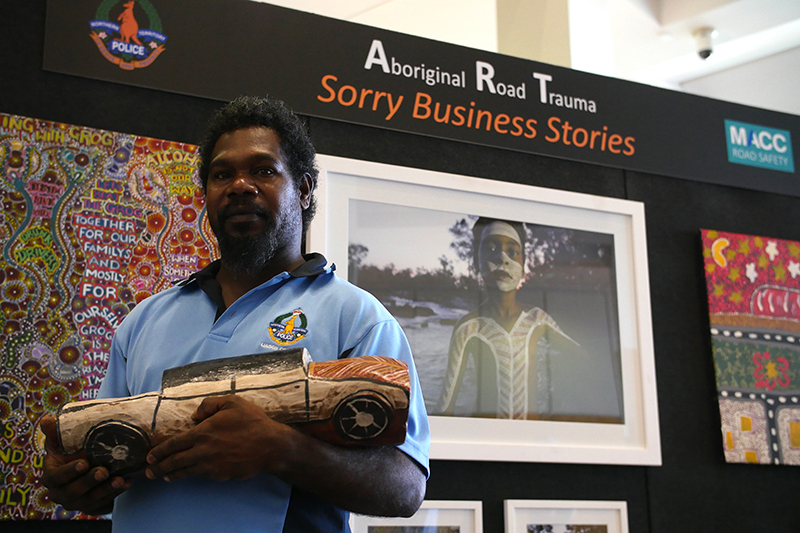 Remote and regional audiences will see ‘sorry business stories’ filmed on country in communities across the Northern Territory (NT). The ads feature community members creating a piece of art as they talk about the ripple effect of a death in the community, the ceremony, sorrow and shame. The art pieces now form an important part of the campaign. The commericals will be screened on television throughout the NT and into adjoining states. The campaign will extend to social media, radio, local language versions, bus wraps and in cinemas.